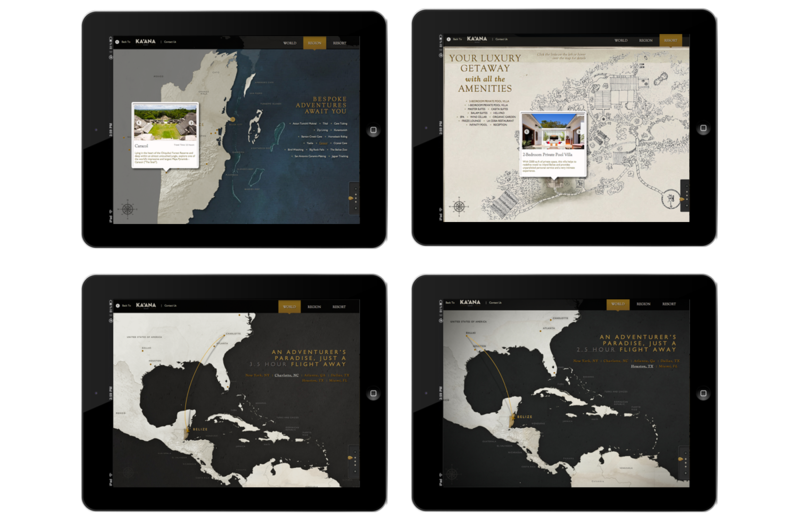 This interactive map shows travel times, local attractions, and resort amenities for visitors to the Ka'aana Belize Resort. 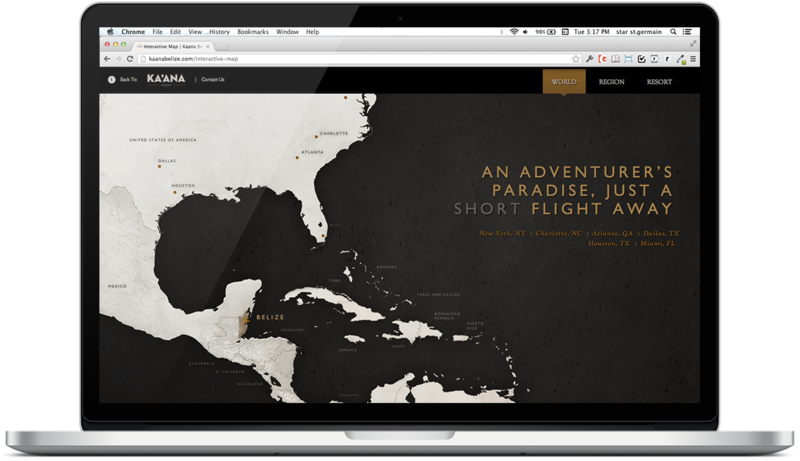 Designed for desktops and tablets, the site features parallax scrolling. For this site, I conducted QA, fixed bugs, streamlined the creative assets and performed the last round of creative revisions.